Now that fall is officially here, it’s important that you start to protect your house and your garden from the worst of the winter weather that is to come. Although it might be something you haven’t thought of before, ensuring that everything is protected can not only save you time but also a lot of money in the long run. It will also protect your home and the valuable investment you have in it. Here are some handy tips to get your home ready for winter. When the days get colder and you want to turn on your heating, the last thing you want is for your heating system to fail. That is why it’s so important for you to get a trained technician to look over your boiler and to give it a thorough service before the winter. Not only can they ensure that your system is fully operational for the winter, but they can also make sure that there’s no dangerous carbon dioxide leaking from your system. If you do decide to get a technician into service your boiler, you need to make sure that they are fully accredited and insured for the work they are doing. Otherwise, they could cause more damage to the heating system and potentially leave it in a dangerous state. Many homes now have ceiling fans, especially when they have high ceilings in the property. These fans along with the air conditioning help to keep the room cool on hot days. However, you might not realize that they can also help when the temperature starts to drop. Take a look at your fan and see if it has a reverse switch on the side. This switch allows the fans to rotate in the opposite direction, which instead of blowing cold air down causes an updraft to push the hot rising air down to the ground. This will make you use the heat you are generating more efficiently. If you suffer from very cold winters then you could be wasting money and energy by having inefficient insulation. It’s important that every winter you check the insulation in your attic and in other areas of the house. Make sure that it isn’t damaged or deteriorating. If you are unable to do this yourself, then you can get in an expert who can assess your insulation for you. They can identify any air leaks that you may have in the home. These air leaks not only allow cold air into the house and warm it out, but they can also encourage a backup of melted water to flow into your house. 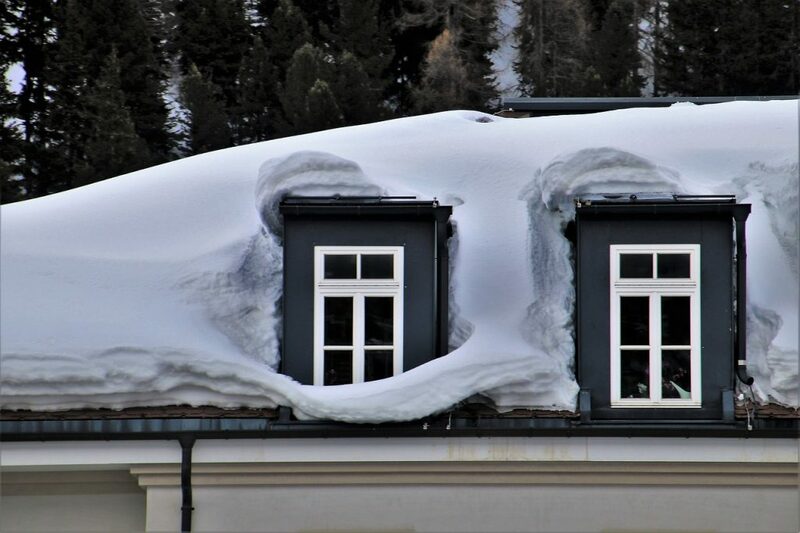 Your roof is going to be the thing that takes the brunt of the bad weather for your home. So, it is important that you ensure it’s in the best condition possible before the winter sets in. You need to make sure that you inspect carefully for any damage from the previous winter or during the summer. Check for any loose tiles, damaged siding or edging to the roof and any moss or dirt that may be lifting the tiles. If you do see any roof hail damage or anything that troubles you, you need to get it fixed before the winter. You can check out this article from companies who can help you with repairs and replacement of your roof. During the summer, your trees and plants will have been growing steadily, and so it’s important you need to check them before the winter. Any trees or bushes close to the house could potentially become dangerous, especially in high winds. It is also possible that they could start to grow into the side of the house and damage the siding or the windows. Take a look around the exterior of the house and see if there any trees or bushes close to the house itself. These need to be cut back so that none of the branches can touch the house. Alternatively, you can remove them, though in some situations they can help to diffuse strong light coming through the windows. During the fall, you may have had many leaves, dirt, and other things going into your guttering. This, together with rainwater can create a nasty sludge. This can block your gutters and cause water damage to your roof and siding. To clear this away, it is important that you check the gutters and remove anything that could block the flow of water. Alternatively, you can hire someone to come and clean them for you. This can be a sound investment. Trying to repair damage caused by ice blockages or rainwater would be a lot costlier. 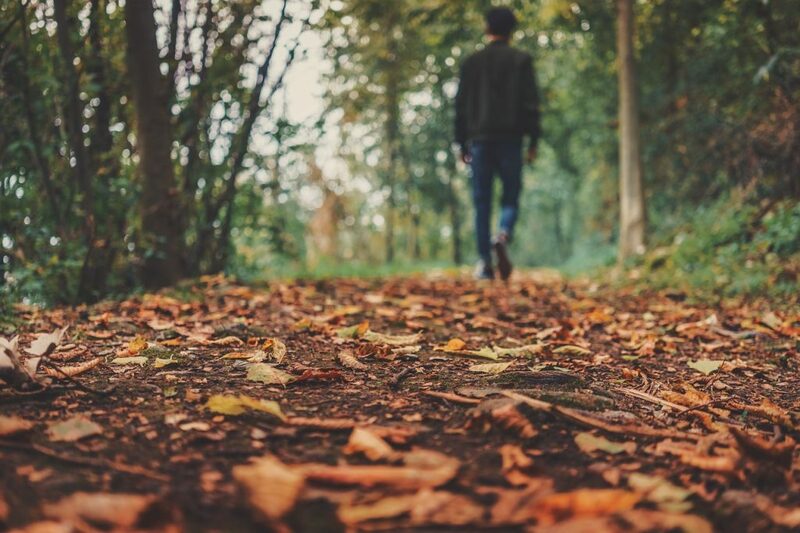 Many people choose to rake there falling leaves, but a recent study showed it actually could be more beneficial if you mulch them into your lawn. But cutting up the leaves they fall into the grass and help to nourish it during the winter months. You can do this either by removing your mowers grass box or fitting a special mulching blade. After the last mow of the fall, you need to think about stowing away your mower for the winter. Any fuel that is left in the mower over the winter will decompose and vanish the inside of the carburetor. This can cause difficulty when trying to start it in the summer, so the best idea is to drain it before you leave it. You need to know that your chimney is clear and safe to use if you want to sit around the cozy open fire during the winter. The best option is to call in a chimney sweep who can sweep away the old soot and any birds nests that may have appeared over the summer. By making these preparations before winter arrives, you should hopefully be able to enjoy your winter without any major disasters.